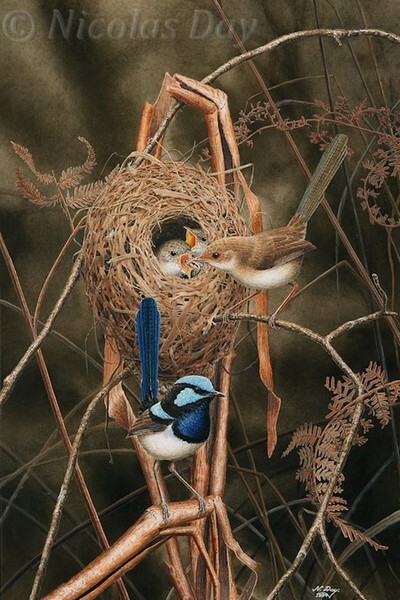 Superb fairy wrens print from original Nicolas Day painting. This pair raised two young in undergrowth by my garden path. 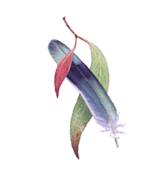 Fairy wrens more commomly form family clans. Observations were made by slowly walking past without pausing, and well after fledgling time I collected the old nest which I painted as it had been when in use.